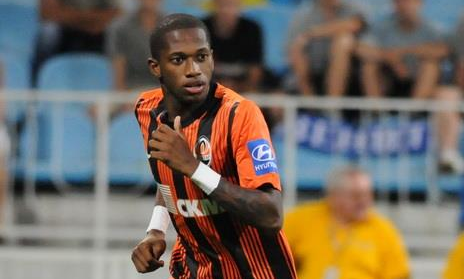 Manchester United are nearing a deal with Shakhtar Donetsk for Brazilian midfielder Fred this summer, a box-to-box player who will provide a threat at both ends of the pitch. The 25-year-old could be on his way to Old Trafford for £53m, and will have stiff competition from Nemanja Matic, Paul Pogba and Ander Herrera. But how will Jose Mourinho’s side line up with Fred next season? David De Gea is the undisputed first-choice goalkeeper at United, and ahead of him Mourinho is likely to stick with four defenders – Antonio Valencia, Eric Bailly, Chris Smalling, Ashley Young. In the midfield, Fred’s impending arrival could see a return to 4-3-3, with Pogba, Matic and Fred in the middle of the park. Alexis Sanchez, Romelu Lukaku and one of Marcus Rashford or Jesse Lingard will make up the trio in attack. Matic remains the defensive midfielder for United, but now he will have some energy alongside him in Fred. The Brazilian averaged a tackle or interception every 23 minutes in the Champions League last season, while boasting an 88% dribble success rate. Fred also made 57 passes-per-game on average, completing 86% of them, so he should also help in United retain possession. He’s not cheap but he could be very useful for the Red Devils next season.